Human rights organizations rejected the appointment of a controversial military leader to spearhead the government program aimed at curbing the mass killings of social leaders. A coalition of the country’s most important human rights and minority organizations called Colombian General Leonardo Barrero, who was removed from the military in 2014, an “ethically and morally handicapped person” to lead the so-called ‘Plan for Rapid Action’ (PAO) commission. In a letter, the social leaders said that whoever does lead the commission, geared toward the protection of social leaders and human rights defenders, must have basic respect for human rights. Barrero’s military career has been marred by a number of corruption, wiretapping and human rights scandals, including the murder of at least one social leader, who was dressed up as a guerrilla and presented as a combat kill to media. More than 430 Colombian social leaders have been assassinated since the beginning of a peace process in 2016. Many more — including human rights defenders, opposition leaders and journalists — have faced a growing wave of threats. The Colombian government has said it is “doing everything” to curb the killings, reactivating initiatives to dismantle armed groups accused of the killings, visiting rural conflict zones and creating the PAO commission Barrero now leads. But the violence has only ticked up since the 2018 election of Duque, who campaigned against the Colombian peace process and whose political patron, former President Alvaro Uribe, has been accused of forming a death squad. Social leaders are quick to say that the president’s rise to power empowered the violent groups in their growing wave of murders. The efforts to curb the massacres have been marked by controversy and sharp criticism by government watchdogs, who say they government is ignoring the mass killings and failed to fulfill its promise to staunch the flow of blood in rural areas of Colombia. “It is unheard of and inadmissible that despite the call of leaders in these regions, this bloodbath does not stop,” Inspector General Fernando Carrillo told the press in January. Now, Duque faces more criticism from human rights defenders after placing Barrero in charge of stopping the violence. Barrero climbed through the ranks of the Colombian military, but in 2014 was booted from his position as Armed Forces commander by former President Juan Manuel Santos after Colombian magazine Semana published a recorded phone call with a colonel imprisoned over ties to the ‘false positives‘ killings. In the call he disparaged investigators and suggested they should “form a mafia” to discredit prosecutors. Previously, Barrero was bogged down by allegations of illegal surveillance of peace negotiations between the government and FARC guerrillas. In August 2018, Barrero became the target of the controversy yet again when his name appeared in a report presented to the Special Justice of Peace (JEP) alleging his responsibility in number of extrajudicial executions between 2005 and 2007, according to El Espectador. 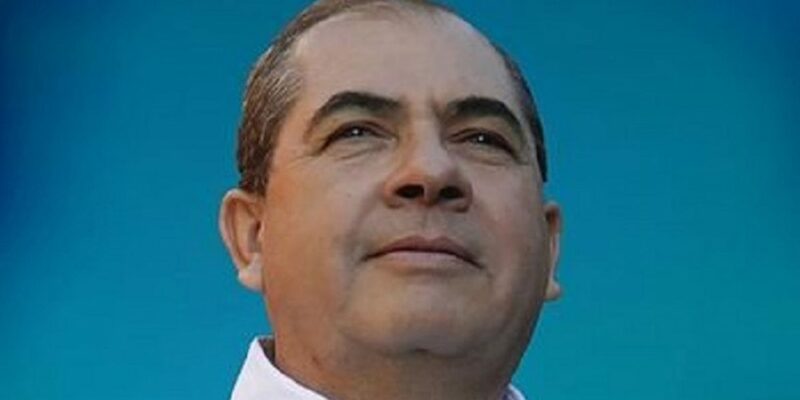 Colombia’s Minister of the Interior, Nancy Patricia Gutierrez, though, defended Barerro and said his resume remains “unblemished” and that there has yet to be any conviction to weigh on the military leader.